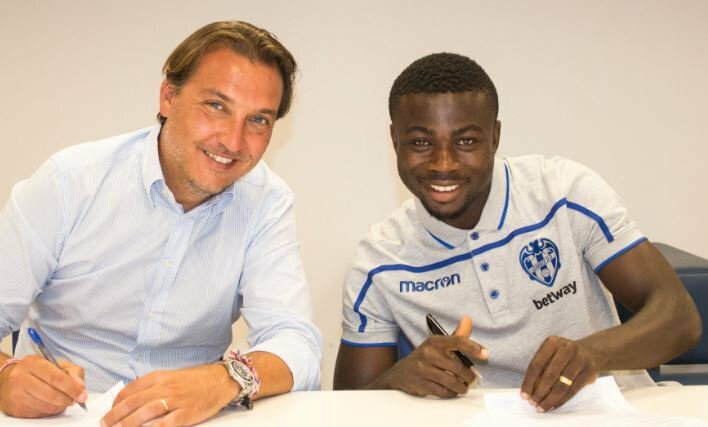 Spanish La Liga side Levante have completed the signing of Super Eagles star Moses Simon from KAA Gent. The 23-year-old moves from the Belgian Jupiler League outfit to Spain for an undisclosed fee after putting pen to paper on a five-year deal. His transfer was confirmed by the official Twitter handle of the Spanish club on Monday evening. Moses Simon, who had a year left on his contract at Gent, was initially linked to a Premier League move to Anfield giants Liverpool earlier this summer. He was a permanent fixture in the Super Eagles team that qualified for this year’s FIFA World Cup tournament in Russia but was left out of the 23-man squad to the mundial because of a thigh injury.